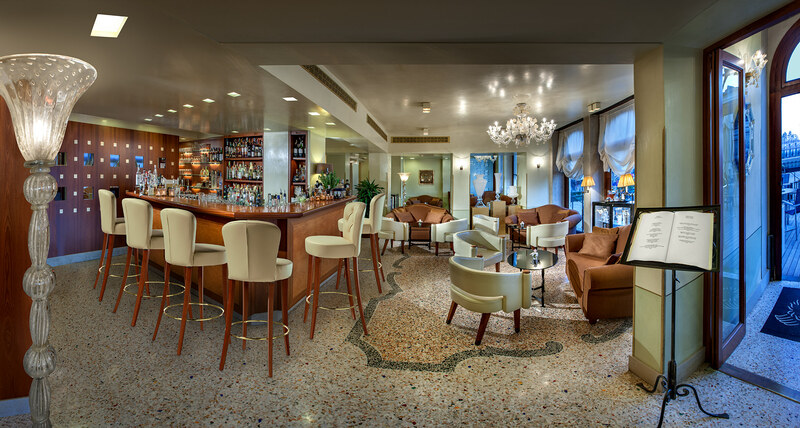 professionalism of Marino can be seen from the proposals of the Londonbar that can be tasted in the veranda in Riva degli Schiavoni, in front of the marvelous panorama of the suggestive San Marco Basin: coffee of different qualities, numerous mixtures of leaf tea, old recipe chocolates, cocktails with fresh seasonal fruit, important selections of wines and beers. 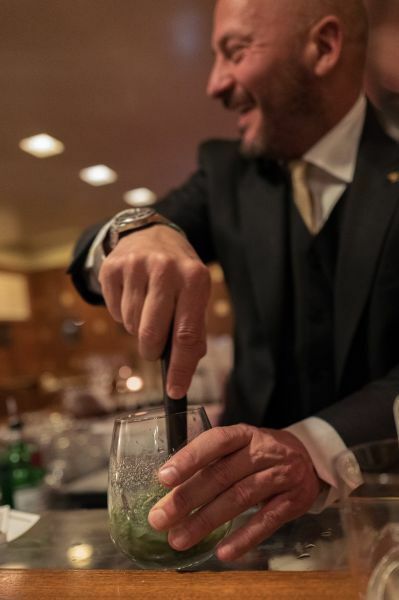 That the Hotel Londra Palace’s Londrabar is an unmissable stop for those checking out the cocktails in Venice, and is also a unique tasting experience, is due mainly to its Head barman, Marino Lucchetti. An associate member of A.I.B.E.S. 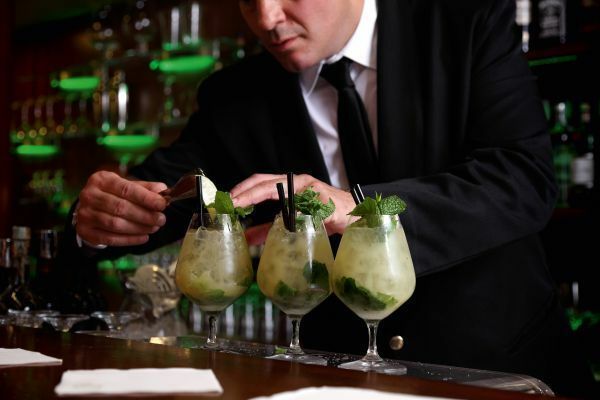 since 1996 (the Italian Society for Bartenders and Sponsors) and an I.B.A. Barman since 2007, he is known for the elegance and style with which he presents classical and contemporary reinterpretations of traditional cocktails. 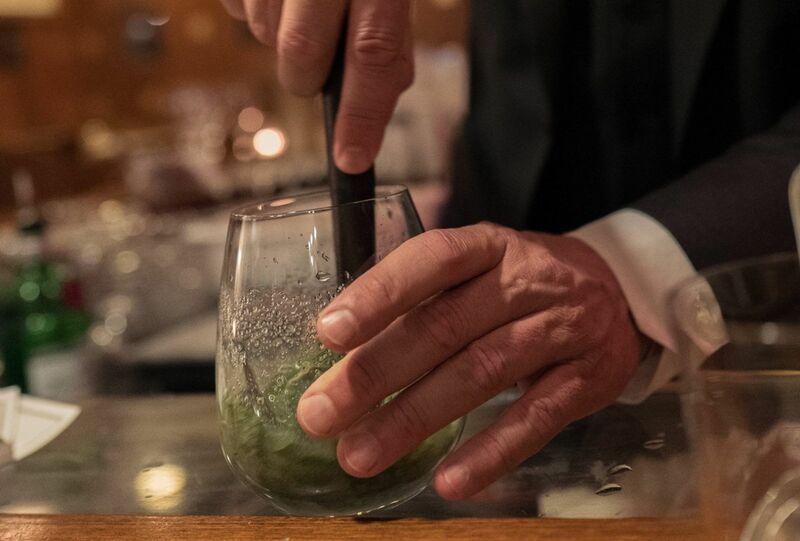 He is also known for his own original mixtures, the result of his creative flair and of his long career in London and in the most prestigious Italian 5 Star hotel. Fascinated by bartenders as a child, he could not understand how they could possibly remember more than three cocktail recipes. Today he knows at least a hundred and smiles fondly at the memory. 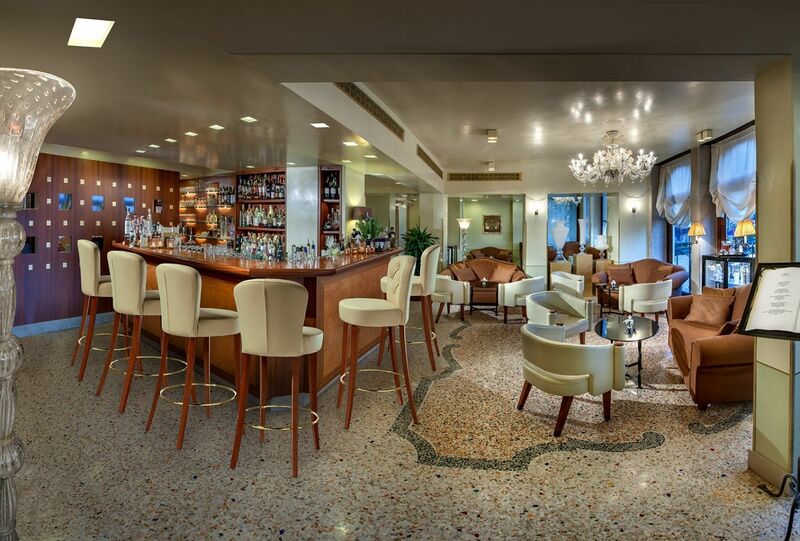 An unmissable stop for those checking out the cocktails in Venice.